Literary Linguistics is a branch of study that does exactly what it says on the tin: it is the interface between Literature and Linguistics. The great thing about this area is that it encompasses a whole range of topics, from examining the effects of reading on the brain to judging how political speeches can manipulate an audience. This is often achieved by delving deeper into the minute details of a text, analysing the intricate linguistic choices made by a text’s creator – be that an author, a speaker in a conversation, or the writer of your favourite song. 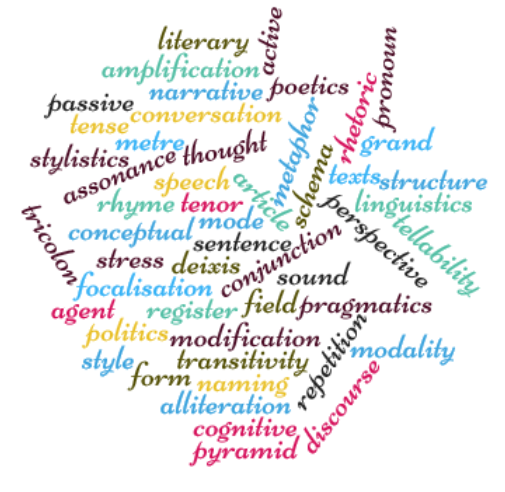 Literary Linguistics therefore combines both disciplines to better understand the texts that surround us every day, providing the opportunity to critically analyse our society and appreciate how every aspect of daily life is shaped by language. These pages will explore Literary Linguistic frameworks by applying them to real, everyday texts, showing the very purposeful choices that writers make and how these impact our readings, conversations, and societies.